In celebration of J. M. W. Turner: Painting Set Free (de Young, June 20–September 20, 2015), the Legion of Honor presents an exhibition featuring drawings, watercolors, and oil sketches by Joseph Mallord William Turner and his contemporaries, including Thomas Gainsborough, John Robert Cozens, William Blake, John Constable, John Martin, and Samuel Palmer. This installation will emphasize the rich holdings of the Fine Arts Museums’ Achenbach Foundation for Graphic Arts, as well as important examples from private collections in San Francisco. Luminous Worlds gathers about 40 works, ranging widely in subject matter and technique, that reveal the richness and versatility of British artistic production over the course of a century. The exhibition reflects the 18th-century vogue for portraiture and caricature; the rise of landscape painting, especially in watercolors; the Romantic engagement with themes from mythology and literature; and 19th-century Orientalism. Highlights include Gainsborough’s Upland Landscape with Figures, Riders, and Cattle (ca. 1780–1790), Sir Thomas Lawrence’s Portrait of Mrs. Sarah Siddons (ca. 1790), Blake’s The Complaint of Job (ca. 1786), and Turner’s View of Kenilworth Castle (ca. 1830). The exhibition is curated by Emerson Bowyer, research assistant, European Paintings. Curious how John Constable made the birds "appear more ominous” in his etching Netley Abbey? Or how conservators determined that J.M.W. Turner's watercolor View of Kenilworth Castle was painted on paper from a mill owner named John Muggeridge? 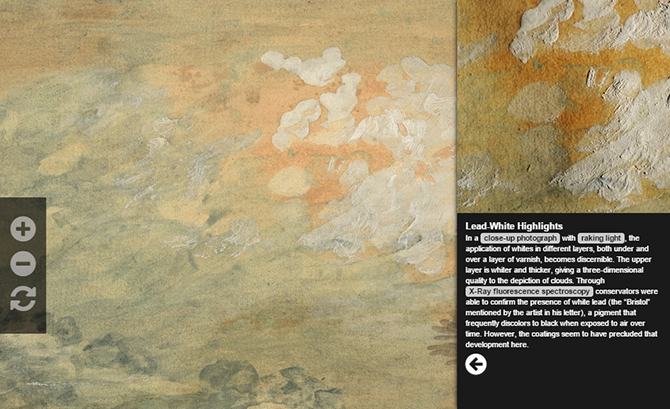 Get an inside look with our digital experience at the techniques and materials used in a selection of works from Luminous Worlds, including those by Turner, Thomas Gainsborough, Constable, and John Ruskin. Flights of Fancy, or Imaginary Scraps, (ca. 1842–1877) is a book of painstakingly rendered drawings produced by a little-known poet named Charles Carrick. It contains 174 pages of images and texts, and apparently was inspired by unrequited love. Carrick’s images are surprisingly modern, anticipating later artistic movements and styles, such as abstraction, Futurism, and Surrealism. 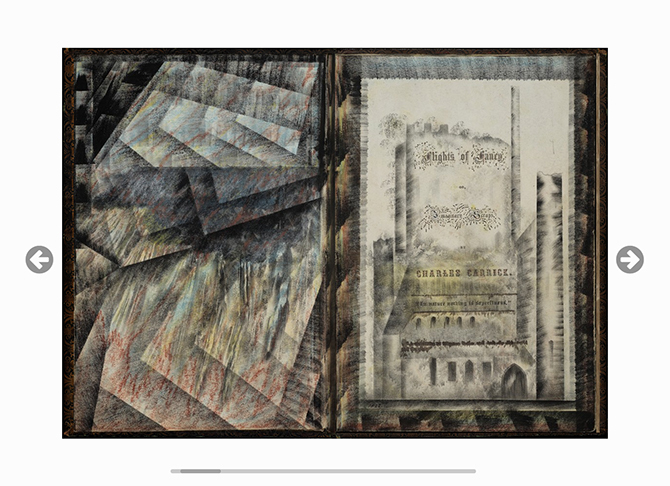 Flip through the pages of this extraordinary book in a digital rendering of the original object. Entry to this exhibition is included in general admission to the museum. Adults $10, seniors 65+ $7, students with current ID $6, youths 6–17 $6, members and children 5 and under free. Prices subject to change without notice. This exhibition is organized by the Fine Arts Museums of San Francisco. Support for the presentation of digital content associated with this exhibition is provided by the Samuel H. Kress Foundation.